Considering that you have to pay R100 per email query, it's worth studying every bit of free info you can get before applying for a UK Visa. 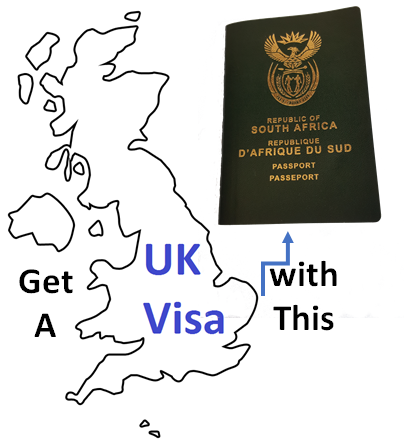 And yes, if you're travelling on a South African passport you'll need a visa to enter the UK. Once in, there are no border controls between England, Wales, Scotland and Northern Island, which makes it a joy to travel around the UK, as only a single UK visa is required. If you're South African you'll also be able to enter the Republic of Ireland, as their Government has granted South Africans the ability to see Ireland visa-free (within limits). Note that even if you do get a UK visa, you can still be denied entry by border control - this is at their discretion - so make sure that you have all your paperwork with you when you travel, so you can at least argue your case. This article assumes you are a South African citizen without dual UK citizenship or the right of abode in the UK. It is not a sunny country, so do not complain about the rain! Buckingham Palace's guards are intensively trained soldiers carrying loaded weapons. The United Kingdom is not composed soley of London. The UK comprises 3 full-on countries. Most locals don't care about what's going on with the Royal family. Only about 2% of the population speak like the queen - an accent created to unite the UK upper crust. You are on Tower Bridge, not London Bridge. In Scotland the people are Scottish, not Scotch. Wales is not part of England. It's called football, not soccer - don't upset the locals. The plethora of different accents, for such a small country. Baked beans and toast for breakfast. Marmite - disgusting at first, but it'll grow on you. The insane drinking culture - 80% of meetups are at pubs. The Royal family - the official mascots of the UK. One of the few countries which also drive on the left side of the road. Watching some Premier League football, and selecting "your" team. You may not apply for a UK Visitor Visa more than 3 months before your date of travel. The information in this document shoud be looked upon as being possibly out of date or incorrect. Always cross check with the information at the UK government visa website. Holiday, visiting your mates or seeing long-lost family. If you're going to attend meetings, conferences, conducting academic research or sabbatical (less than 6 months). You can go to trade fairs, but not be directly involved in selling anything. You can give a speech or a short-series of speeches only if the organiser isn't doing it for profit and they are not "commercial events". Academics carrying out permitted activities may be able to stay up to 12 months (along with their partner/children/spouse). You're coming to the UK to perform music, art or entertainment; whether on your own or as part of a group. Supporting staff to the artist may only accompany him/her if they're employed by the artist outside of the UK. Participating in specific sports events. Sportsmen/women may do promotional work and even join an amateur team (only if they're an amateur). Support staff may accompany the sportsmen, if they are employed by the sportsmen outside of the UK. Private medical treatment (may be allowed up to 11 months in the UK). To take the Objective Structured Clinical Examination or the Professional and Linguistic Assessment Board test. To attempt to raise money to "start, take over, join or run a business in the UK". Dentists & doctors who are taking a "clinical attachment or observer post". A Temporary Workers Visa may be required if you're working for less than 6 months in the UK, or an international agreement visa if you're doing international law work. If you're going to work for longer than 6 months, then a Skilled Worker Visa may be required, or possibly a temporary worker visa. For diplomatic business, no visa is required, but you can apply for an exempt vignette. For official government business in the UK, if you are a serving government minister, no visa is required, but once again you can apply for an exempt vignette. If you're travelling to the United Kingdom on inviation from a UK-based client or organation as an expert in your profession; you may apply for a Permitted Paid Engagement visa. The visa is for a maximum stay of one month. If you have a child who is at school in the United Kingdom, then apply for a Visa for Parents to visit him/her. If you're going to the UK to study for less than 6 months, then apply for a Short-term Study Visa; for more than 6 months apply for a Study Visa. If you're younger than eighteen years old, you may apply for a Child Study Visa. If you're 18 years or older and want to study an English language course which is 11 months long or less, then you may apply for a Short-term Study Visa. Click here to read about applying for a UK Transit Visa. To visit your spouse, partner or family for less than 6 months, you need to apply for a Family Visit Visa; if you're visiting somebody who is a British citizen or from outside the EEA (European Economic Area) and settled in the UK for more than 6 months, then apply for a Family of a Settled Person Visa. If you're visiting somebody from the EEA then you may be able to apply for a Family Permit. If the person you're visiting is from outside the EEA & studying/working in the United Kingdom, you may be able to apply as a "dependant". To come to the UK to enter a civil partnership or get married then apply for a Marriage Visitor Visa, unless one of the partners is settled in the UK, or British, and you want to live in the UK permanently, then apply for a Family of a Settled Person Visa. NB: It's possible that rules change and the above and below information is out of date or incorrect. Double-check which visa you require by clicking here and answering the questions. If you need to apply for a new passport, in our experience you can usually get it within 10 days from South African Home Affairs (but be prepared to queue for a long time - this can take you the better part of a day). Temporary passports are no longer issued. You can find your closest home affairs office by clicking here. South African passports must be valid for at least 6 months after your return to South Africa. Passports require 2 valid blank pages when you leave or return to South Africa. Visa pages are invalid if damaged or stained by stamps from other pages. If your passport is damaged it's best to get it replaced before applying for visa. Make a certified copy (A4) of your passport to take along with you to your appointment (you'll see how to book this further down). You can only apply for a UK Visa if you're not in the UK! If you're there on holiday, you'll have to first leave the country, apply, and then reenter the UK. You will be using "Access UK" if you are applying for a Standard Visitor Visa, a Permitted Paid Engagement Visa or a Marriage Visitor Visa. In all other cases you apply via Visa4UK. In particular note that you'll have to use Visa4UK if you are applying for a visa for diplomats, transit, academic visits lasting more than 6 months and medical treatment lasting more than 6 months. In the rest of this document it is assumed that this is not the case, and that you have to follow Access UK's processes. Take along both the original as well as A4 photocopies of the originals. If any documents are not in English or Welsh, then get a certified translation for them and take that along as well. 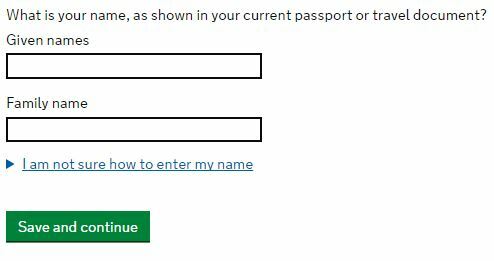 You'll need your current passport as specified above, and whilst you don't have to provide previous passports, if you have them, do submit them. Provide proof that you have enough money to undertake the trip, and that you can access the money. Provide a letter on your company's letterhead or other proof from your work of how much you earn, when you started working there, your job description and the contact details of your work. Provide bank statements. If you're relying on a 3rd party (whether a company or a person) to support you financially, then provide proof that they're financially able to in addition to their current responsibilities. If you're running your own business, then provide registration documents which show you're the owner and when the business starting trading. If you're studying full-time, then provide a letter from the organisation where you're studying, on their letterhead, recognising that you're studying there and when you'll be finished. Proof of where you live, legally (check if it's in your passport). If you're heading to the UK to undertake business activities then collect invite letters and documents setting out why you're going and what you're going to be doing (preferably from both your company and the company in the UK you're visiting). If you're doing work in the performing arts, then the documents should specify whether you're an amateur or professional, and details of where and what you're going to be performing. If you're not travelling with your parents, then have (1) a copy of the biographical page of your parent/s or legal guardian's passport, which contains their passport number and is signed by them; (2) a letter signed by your parents confirming where you're staying in the UK and with whom, and who you are travelling with to the UK and onwards. Take your unabridged birth certificate and other legal documents (for example, your adoption papers) along, which indicates the relationship between yourself and your parents/guardians. The birth certificate should be the unabridged birth certificate of children younger than 18 - this contains full particulars of the individual, parents, ID numbers, names in full, city/town of birth & their citizenship. (The abridged certificate, by contrast, only shows the child and mother's ID numbers, names of birth and country of birth.) A document providing consent should be provided by any of the child's parents not travelling with the child. South Africa has only been issuing unabridged birth certificates as standard since 4 March 2013. 12 month visa for academics (or accompanying family) visiting the UK to conduct research. Click here to see how how much you should pay if you're a South African (you'll also need to know which visa you're applying for). Navigate to https://visas-immigration.service.gov.uk/apply-uk-visa (assuming your visa type requires this), and select the type of visa you require (for purposes of this exercise we'll assume that you're looking for a Standard Visitor Visa, but naturally in your case it may be something different). You have now finished entering the preliminary information. Read the following page carefully, then scroll down to the bottom and click on the "Start Now" button. Confirm whether or not you have ever been known by a different name. Fill in your home address. Enter how long you've lived at your current home, and what the ownership status is (whether you own it, rent it, live in it with your family, or something else). Confirm your gender (male, female or unspecified - good to see they cater for all). Confirm your relationship status (single, married/civil partnership, unmarried partner, divorced or civil partnership dissolved, separated or widowed or a surviving civil partner). Enter your nationality, date of birth, country of birth and place of birth (exactly as it is in your passport). Enter your passport number, its city of issue, the issue date and the expiry date. Confirm whether you have another passport or travel document (e.g. a passport issued by a different country, or an older passport which has expired but which contains more information about your travel history). State whether you have a national identity card. This is the identity card issued by your national government. Please select 'No' if your country does not issue national identity cards or you do not have your card. Then enter your ID number. Confirm your employment status - employed, self-employed, a student, retired or unemployed. State what your job is and how much you earn. Confirm whether you have any other income or savings. Estimate how much money you're planning on spending in the UK. Include flights, accommodation and everyday expenses. Estimate the total amount you spend every month including living costs, money given to dependants, rent or mortgage and any other bills or costs. State whether anybody else will be paying towards the cost of your stay; including costs borne by your employer or another company, or whether somebody else is giving you some money. Provide your planned dates of arrival in the UK and departure from the UK. State the language in which you'd like the visa service to communicate to yourself in. State the main reason for your trip to the UK - tourism (including visiting family & friends), business (including sports and entertainment) or other. Give details of tourist activities and places you will visit, friends or family you will see or stay with, plus any non-tourist activities you plan to do during your trip such as doing business, receiving private medical treatment or getting married. Specify whether there is anybody who depends on you for financial support. This includes children under 18, children over 18 who live with you at home, children who you look after all the time and older relatives who need you for accommodation or other support. Provide details of your parents - given name/s, family name, date of birth, nationality, and whether they've always had the same nationality. State whether you have any family in the UK. This includes immediate family (husband, wife, parents or children), grandparents or grandchildren, your husband's or wife's family, your child's partner or spouse or your partner; if you have lived with them for 2 out of the last 3 years. State whether you will be travelling to the UK as part of an organised group - this include travel companies or sports, work, or study groups. State whether you will be travelling in the UK with someone who is not your partner, spouse or dependant. State whether you have already made arrangements for where in the UK you will be staying. State where you plan to stay in the UK, providing as much detail as possible - e.g. hotel/s, with friends or in private housing. State the number of times you've visited the UK in the last 10 years, and what your reason was for your previous visits. State whether you've ever been given medical treatment in the UK (if you visited a doctor or were treated at a hospital, this counts as having medical treatment). State whether you've applied for leave to remain in the UK in the past 10 years. If you have then state the date of the application and the result. Leave to remain is an application made whilst in the UK asking permission to stay in the UK. State the number of times in the past 10 years you've visited Australia, Canada, New Zealand, USA or the Schengen area. State whether you've visited other countries in the last 10 years. If you have visited other countries state which, when and the reason for your visit. State whether you have you ever been refused a visa for the UK, deported from the UK, removed from the UK, required to leave the UK or refused entry at the UK border. State whether you have ever experienced the same problems with immigration to countries other than the UK. Confirm whether you've ever been involved in war crimes, crimes against humanity or genocide. The UK want to keep terrorists out of the country. Confirm whether you've ever encouraged, supported or been involved in terrorist activities in any country. State whether you've ever been a member of, or supported, an organisation which has been concerned with terrorism. Have you ever glorified or justified terrorist violence or encouraged others to commit terrorist or other serious criminal acts? Mention any work you've done for the following types of organisation (include information for any paid or unpaid work for the types of organisation): Armed Forces (including compulsory national or military service), Government (including Public or Civil Administration and compulsory national service), media organisations, security organisations (including police and private security companies), or the judiciary (including work as a judge or magistrate). You then have the opportunity to add any further information you'd like to add. Then, you are able to check all the information you've submitted. If you've given false information your application will be refused and you may be banned from the UK and prosecuted. Choose the length of your visit visa: a visit visa is normally issued for up to 6 months, but some visit visa types offer longer options. Long-term visit visas allow you to make multiple visits to the UK, but you can normally only stay in the UK for up to 6 months at a time, with some exceptions for academics and their dependants, and people visiting for private medical treatment. Standard service (most people get a decision within 15 working days); Priority service (costs more, but your application will join the front of the queue for priority consideration. Most people get a decision within 5 working days), or Super Priority service (costs a lot more, but your application will join the front of the queue. Most people get a decision within 24 hours). UK Visas and Immigration will contact you if it will take longer to process your application. This might happen if your supporting documents need to be verified, you need to attend an interview or your application is complex. Note that working days excludes weekends as well as public holidays, in both South Africa and the UK. 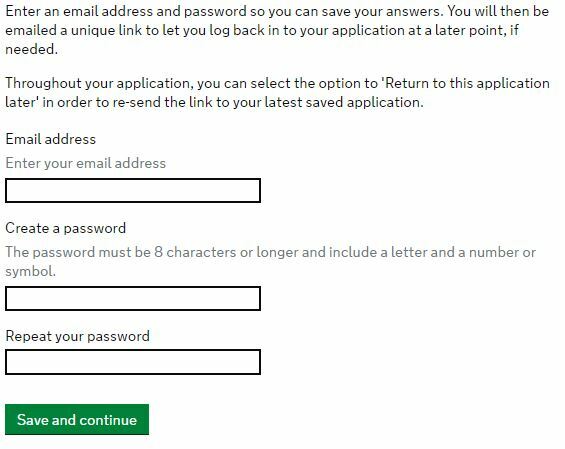 Also note that sometimes, for no clear reason, it takes longer than expected to process the application (e.g. if they have a backlog to clear) - click here to read an example of it taking longer than expected and leading to the need to cancel flights. The Media Quarter, Corner of Somerset & De Smidt St (opposite Sovereign Quay, and also opposite the Kentucky Fried Chicken), Green Point, 8005, Cape Town. Click here to see on Google maps. 1st Floor, Menlyn Corner, at the traffic circle at the end of Frikkie De Beer Str (Cnr of Lois & Atterbury Rd), Menlyn, 0181, Pretoria - click to see on Google Maps. Then choose an appointment date and time. As part of the online booking process, you'll be able to see what the availability is of dates for your appointment. You then choose which credit card provider you are going to use to pay: Visa, MasterCard or Maestro. Continue to WorldPay, and pay in the normal manner one would for a credit card payment. Note that this amount is non-refundable, if, for example, you are refused a visa. Be early for your appointment - if you're late, you will have to book another appointment and pay an additional fee. Arrive for your appointment with all the documents required. You will be required to submit biometric information (photographs and fingerprints). Your application will then be sent to the relevant embassy/consulate for processing. If you reside in South Africa and you're visiting the UK for longer than 6 months then you need to go for a tubercolosis test. This involves a chest x-ray and possibly a sputum sample, if the x-ray isn't clear-cut. "The Brexit Referendum will not unravel previous commitments". EU citizens who have resided in the UK for 5 years will be able to apply for settlement in the UK. It hasn't yet been decided when the specified date is by which they have to have achieved the 5 years; but it will be somewhere from the 29th March 201 until the date of the UK's withdrawal from the EU. EU citizens who arrived in the UK before the specified date, but have not yet accumulated 5 years residence in the country, may apply for temporary status and then later for settled status once they've been in the country for 5 years. "No expectation of guaranteed settled status will be given to those EU citizens who came to the UK after the specified date and the possibility to obtain settled status will depend on their specific circumstances." An EEA Family Permit allows the family members of an EU citizen residing in the United Kingdom, to bring along family members. Note that the EEA FAmily Permit is valid only for 6 months, so after arrival in the UK you should apply for an EU Residence Card. "Family members of EU nationals who arrive in the UK (to join their EU national) before the UK leaves the EU will be able to apply for settled status after five years (including where the five years falls after our exit), irrespective of the specified date. However, those arriving after the UK’s exit from the EU will be subject to the same rules as those joining British citizens or alternatively to the post-exit immigration arrangements for EU citizens who arrive after the specified date." If you've got a UK born parent then you're golden - you can apply for British citizenship and will very likely get it. Crown service refers to being employed by the Crown - e.g. in the military, police, as a civil servant or in the judiciary. Now, if you were born before 1983 and at the time of your birth one of your parents was employed by the Crown, you may qualify for British citizenship. Or even if you were born after 1 Jan 1983, and a grandparent of yours was in the service of the Crown at the time of one of your parents' birth, you may qualify for UK citizenship. The relative working for the Crown would also need to have had British citizenship. Many South Africans have a United Kingdom heritage. You may be eligible for an ancestral visa if one or more of your grandparents (excluding step grandparents) was born in the Isle of Man, Channel Islands, Britain a British-registered airplane or ship (and you can prove it with proper birth certificates), or the Republic of Ireland before 1922. As a South African you are automatically a citizen of the commonwealths, so that box is ticked. You cannot claim ancestory via step-parents, but can if yourself or a parent was adopted. You must be 17 years or older, and planning and capable of getting a job and working in the United Kingdom, and you must apply at most 3 months before your date of travel to the United Kingdom (you can expect to get a decision at most 3 weeks thereafter), and apply from a country outside of the United Kingdom. Click here for more detail. You will have to work and support yourself during your stay in the UK. After spending 5 continuous years or more in the UK you can apply for ILR (Indefinite Leave to Remain), and will be granted "settled status" when being granted ILR (a new BRP, Biometric Residence Card, will be issued). After spending another 12 months in the UK, you can apply for British citizenship. 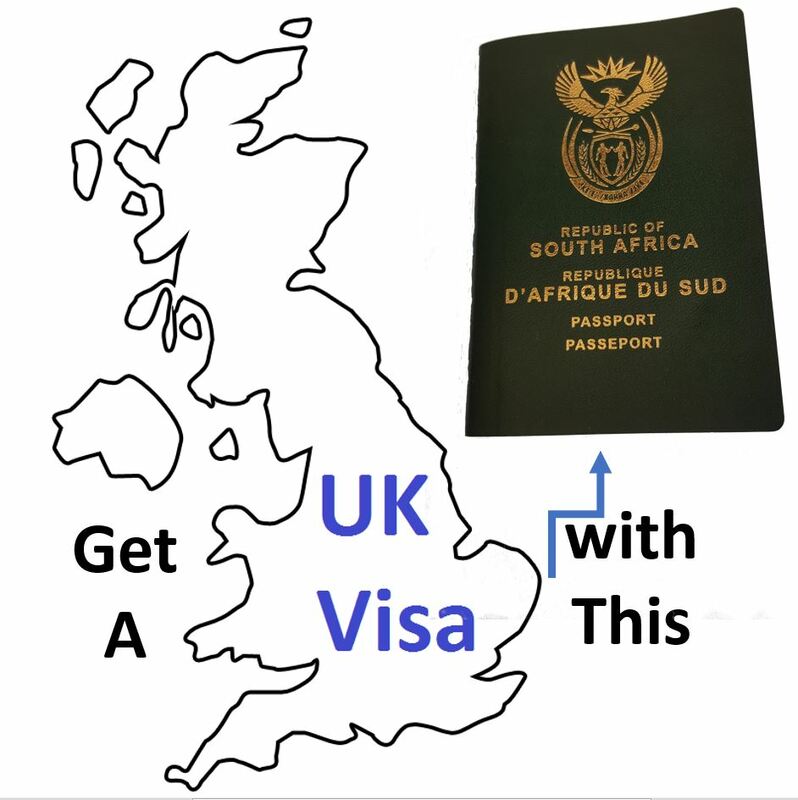 If you left the UK before gaining Indefinite Leave to Remain and your ancestral visa expired; then you can apply a second time for an Ancestral Visa - you must apply from South Africa (assuming that is your home country). However, in terms of time towards gaining Indefinite Leave to Remain, you'll have to start from scratch again. Not only can you work and live in the United Kingdom, but you can also bring your family and dependants along with you. If you are married to somebody who is a UK citizen and is living in the UK permanently then you may want to apply for a Spousal visa. The two of you must plan to live in the UK permanently if a visa is granted. If you're engaged, then a spousal visa may be granted for you to be married within 6 months of arriving in the UK (you may not do any work until you're married) - you may not be waiting for a divorce from a previous marriage - all must have legally ended prior to you applying. The visa would be granted for 6 months if engaged, and 2.5 years if married (after which you'd have to apply to extend it for 32 more months). You must have a good command of English and be able to support yourself financially (there is a minimum income requirement). Sometimes the authorities may be difficult about renewing spousal visas. TV Presenter, Paul Freathy's spouse, Gail's, spousal visa expired and the authorities said for her to leave the country and reapply for a spousal visa, a situation complicated by their photography business "not paying them a full salary". They appealed to the European Convention on Human Rights and won on humanitarian grounds. And if you entered the UK on a temporary visa instead of on a spousal visa, you will probably be asked to leave the country and reapply for a spousal visa. Consider the case of the Meikles, where William Meikle (a Scot) and Anna Meikle (a South African) decided to emigrate from South Africa to Scotland - Anna entered the UK on a temporary visa, and was asked to leave and reapply for a spousal visa. If you want to get married in the UK, but do not plan on settling down there, then you can apply for a Marriage Visitor Visa. The visa is valid for a maximum of 6 months. You can apply for the visa not more than 3 months before your date of travel - which may make some brides a bit nervous! Regardless of whether you qualify as a British Citizen, you still need to prove that you have a "good character" - this entails immigration officials looking into whether you have a criminal record, bankruptcies and even driving offences. If you're emigrating and are worried about leaving your parents in South Africa, you may be able to get them across on an Elderly Dependent Visas. However, first you need to be a British Citizen and residing in the UK. You will need to demonstrate via medical documents that they need long-term medical care. The visa may only be used for your parents or grandparents, not somebody else who they may be in a relationship with. For EU citizens it can be even easier to bring parents and grandparents across to the UK; but this will likely change with Brexit. You'd need to be endorsed as being a leader or emerging leader in your field - the arts, digital technology, engineering, humanities, medicine or science. The quota was set at 1000 p.a. but was increased to 2000 p.a. for the 12 months from 6 April 2018. The visa-holder can work in the UK - either self-employed or for an employer, as he/she chooses - can change jobs without informing the UK Government, and can travel in the UK. The visa holder may not work as a sports coach, professional sportsman, dentist in training or doctor in training. The children and partner/spouse of the visa-holder can accompany him/her and may work in the UK without restriction. The visa allows the holder to stay up to 5 years in the UK, and to apply for indefinite leave to remain after 5 years (or to apply to extend the visa after 5 years). The rules are changing so that the visa-holder can apply for indefinite leave to remain after only 3 years. You'd have to be endorsed as having a worthy business idea, and being a graduate. Department for International Trade endorsed seed funding competition, with any awards which the DIT makes available being counted to the £50,000 requirement - examples of seed funding competitions are Entrepeneur First, Seedcamp, Tech Stars, Founders Factory Accelerator, Wayra UK, Oxygen Accelerator, Emerge Education, Collider, Deep Science Ventures, StartPlanet NI and Pi Labs. A Venture Capital firm which has been authorised and is regulated by the FCA (the UK's Financial Conduct Authority). Click here to see whether it is on the list of regulated firms. A department of the UK government or develoved governments in Wales, Northern Ireland or Scotland; where the department has made the funding available specifically for expanding a UK firm, or starting a new one. Access to funding of at least £200,000: This is the usual option selected, as the £50,000 option has stringent funding requirements. In this option you'd make your own money available or/and source third party money. The third party should confirm that the funds will remain specifically available for your project, or if possible, the funds should be transferred to the applicant and held for at least 90 days at the point of providing proof. You need at least 2m pounds which you are willing to invest in the UK; typically in UK Government Gilts (bonds) or shares of certain companies. At first you're given a visa for 38 months, and then you apply to extend it for another 24 months, after which you apply for indefinite leave to remain, and 12 months after being given indefinite leave to remain you can apply for UK citizenship. You will need to prove that you were not absent from the UK for more than 180 days in each of the previous 5 years. You may also get visas for your spouse and children, as long as you continue to meet the requirements of your Investor visa. The main way in which individuals who are skilled at their occupation, and are not UK citizens or EU citizens, get into the country is through tier 2 visas. But for this you'll need to have a job offer for a permanent post from a UK employer which has a tier 2 sponsorship licence. Click here to see the full list of licensed sponsors for tier 2 and tier 5 visas, as at 9 Jan 2018. You may be required to submit a criminal record certificate along with your application, as may adult dependants accompanying you; with a seperate record being provided from each country which you have spent 12 months or more in over the last 10 years. There is a fast-track application process for skills which are in shortage in the UK - have a look at the skills shortage list to see whether your profession is on the list. In April 2017 a levy was introduced on companies sponsoring tier 2 visas in the "Intra-company transfer" or "General" categories, known as the "Immigration Skills Charge Levy". The levy was initially set at £1000 per year per employee; except for charity & small business sponsors which are only charged £364 p.a. There are a large number of IT companies in the UK which make use of tier 2 visas to hire talented overseas tech staff; however the rate of hire via tier 2 sponsorships decreased after April 2015, when the minimum salary for a tier 2 ICT sponsorship was increased. Around a third of slots are filled by doctors. On being granted leave to enter the UK on a Tier 2 Visa, you are assigned a National Insurance Number. Contributions to National Insurance will be deducted from your salary, and the NiNo is also used to keep track of taxation paid. From 2018 the rules were changed so that you could still apply for Indefinite Leave to Remain, even if there was more than a 60 days gap between holding tier 2 jobs. The minimum salary is £55 000 p.a. Graduate Trainee. This allows you to stay up to a year in the UK, and requires that you earn a minimum of £23,000. Graduate Trainees must have worked for the overseas employer for a minimum of 3 months in a specialist role, and be a recent graduate. Long-Term Staff can stay up to a maximum of 9 years if the employee earns more than £120,000 p.a., otherwise a maximum of 5 years and one month; but under all options the minimum is £41,500. Unless the employee is going to be paid over £73,900 p.a. he/she must have worked for the overseas company for more than a year. Another requirement is that the company must not be able to find a UK citizen to do the job. IF you're competing or coaching at the highest level in your sport then you can apply for a tier 2 Sportsman visa. An example of this is Allan Donald, who couldn't coach cricket in the UK until he had a Level 3 qualification for cricket coaching - however Donald was allowed to coach the Sri Lankan team touring England as the rule only applies to UK employers. Click here to see more details of ECB (England Cricket Board) requirements. If a body within the UK faith community has offered you a job, you can apply for a tier 2 visa in the "Minister of Religion" category. If you need a fast answer to whether you can get a tier 2 visa, then you could apply for "Priority Service". Wanting to do preaching or some other form of religious work. You want to do charity work for free. You will be working in a foreign government, in the houusehold for a diplomat or other work required by international law. Sporting and creative-related work. You would obtain a certificate of sponsorship from your employer/club in the UK (they would need to be licensed). If you are going to be playing sport in the UK for a long period of time, you may want to apply for a tier 2 visa. Are aged between 18 and 30 years, have sufficient savings, and are from certain countries (not including South Africa), or are a UK national, UK overseas territories citizen or UK overseas citizen. You are in a government authorised exchange program. If an overseas company wants to open a branch in the UK, it can apply for sole representative visas for non-EU members of staff it wants to deploy into the UK. The Sole Representative Visa allows the individuals to stay in the UK for 3 years, then it may be extended for 2 more years, after which the individuals could potentially apply for Indefinite Leave to Remain. Many IT companies use the Sole Representative Visa; with most companies being based in the USA and Australia. whilst it isn't a requirement as such, they also acclimatise well, becase of the close cultural fit. If you're older than 16 and want to study in the UK then you can apply for a Tier 4 Student Visa. But before you apply you need to get admitted into a course at a Tier 4 approved educational institution, and you may not apply more than 3 months before you start the course. Click here to access the system to apply to all institutions simultaneously (yes, it would be great if South Africa had a tool like that too!). Click here to see all universities and colleges which are approved for Tier 4 sponsorship. The offer for a place to study in the UK, is known as "Confirmation of Acceptance of Studies". When applying to study it's worth checking whether there are any bursaries or scholarships available - these can significantly reduce the cost of studying. You will have to inter alia meet the English language requirement. You must have an ATAS clearance certificate if you are studying one of the list of courses where knowledge will be gained which can possibly be utilised in building Weapons of Mass Destruction. You must have sufficient money to support yourself and pay for your course. You can prove this by paying for your entire course and accommodation in advance, show that either yourself, your parents or financial sponsors can pay for the rest of your course and accommodation. If you are being sponsored by an international scholarship agency or by a government, then you must have your sponsor's go-ahead. There are special rules if you are studying postgraduate as a dentist or doctor. Architecture, dentistry, law, medicine, music, science and veterinary medicine. 2 years studies below degree level (an exception for certain maritime courses). A concern is that Brexit may may make it more difficult for an EU students to study in the UK, as they'll probably require a tier 4 visa; as opposed to the free movement they're currently allowed into the UK. Working in the UK, whilst studying, is heavily restricted. However, you can work during university/college holidays and up to 20 hours per week during the term. 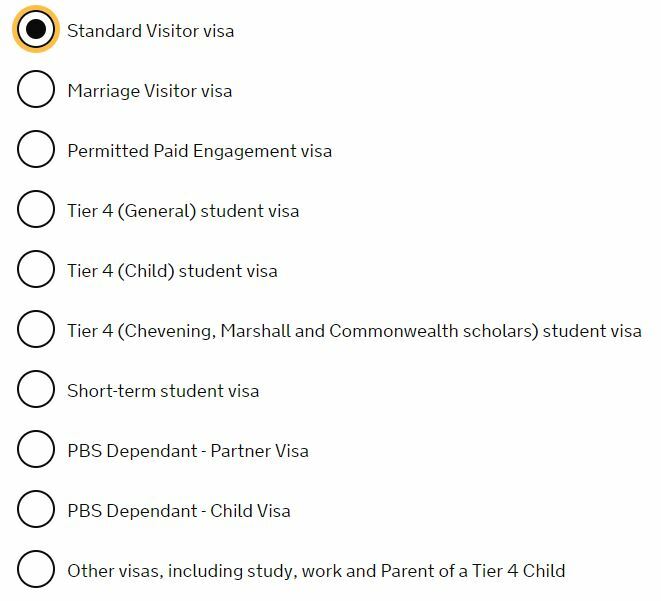 Foreign students who are hoping to work in the UK after their studying should note that they will need to get a tier 2 visa in order to do so, and that this may be complicated as typical salaries for trainees may be lower than the minimum to be sponsored for a tier 2 visa. Because of the stringent requirements most foreign graduates go back home once they have completed their course. From 11 January 2018 students can move to a tier 2 visa immediately on completing their course, whereas previously they could only apply for it once they had got their degree (got their results), providing only a small window of opportunity to get a job - this new relaxation of the rule does not apply to PHD students. The UK government is busy changing the way it compiles immigration figures to exclude international students (currently, January 2018, this numbers some 438,000)); despite opposition from the Prime Minister Theresa May. The idea is that once Brexit kicks in the UK is (ironically) going to have to be more open. When foreign nationals obtain an "Indefinite Leave to Remain" (ILR) status from the UK government it means they have been granted permanent residency; they can stay, work and study and there is no time limit within which they have to leave the country. However, you can lose your ILR if you spend more than 2 continuous years outside the UK. It's equivalent to the USA's Green Card. Tier 1 Entrepeneur : 3 years or 5 years; depending on degree of business activity. Tier 1 Exceptional Talent : 3 years if falling under the talent category, or 5 years if falling under the exceptional promise category. Tier 1 Investor : 2, 3 or 5 years; depending on the size of the investment. Continuous time means that you may not have spent more than 180 days outside the UK in any 12 month period. Part days spent outside of the UK don't count towards the 180 day maximum. After having ILR status for 12 or more months, citizenship can be applied for if the individual is, inter alia, older than 18 and has been in the UK for the previous 5 years. Amongst requirements, you will inter alia need to earn above a certain amount of money (18,600 pounds p.a. at the time of writing) in order to get your spouse into the UK, and more if you have children who are not permanently settled EEA nationals or UK citizens.